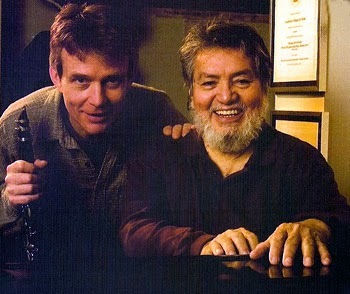 We were friends for 23 years! 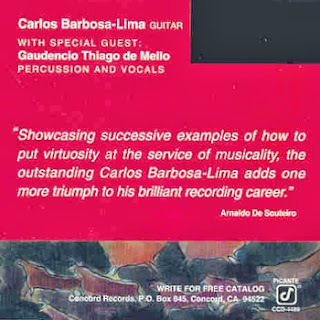 Luiz Bonfa and Carlos Barbosa-Lima introduced me to him. 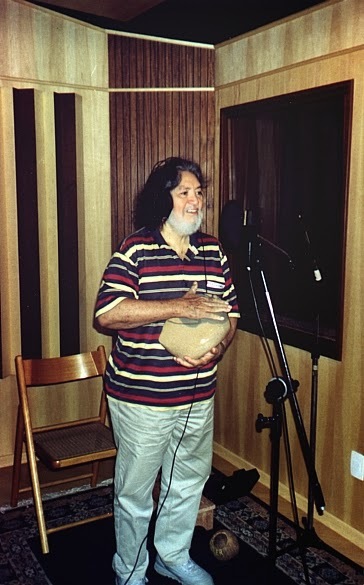 I produced many (7 or eight) of his albums as a leader, at least 4 of them for my own JSR label. 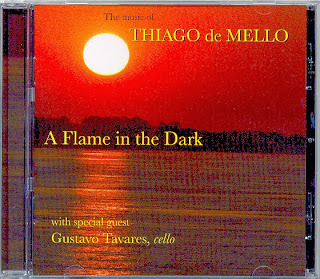 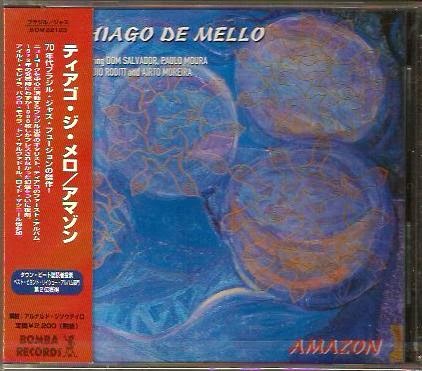 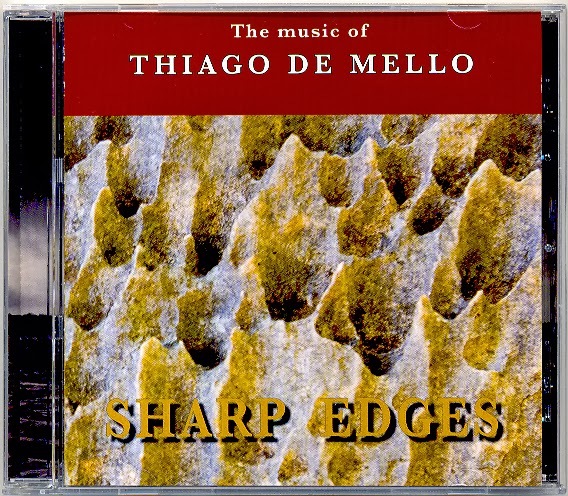 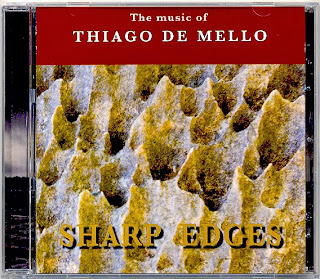 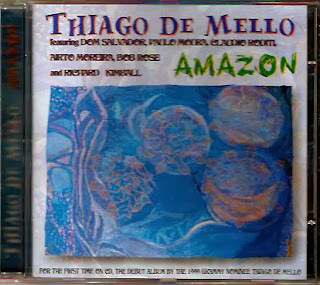 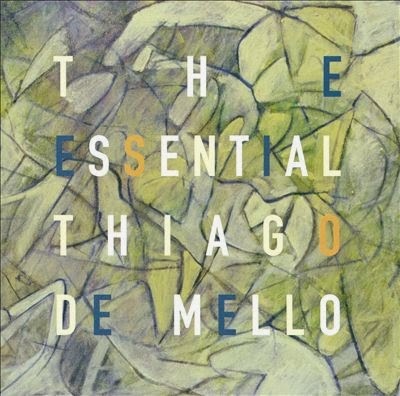 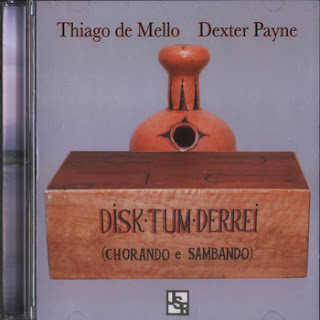 Plus the very first CD reissue of his debut album as a leader, "Amazon - The Music of Thiago," which became a hit in the European dancefloor jazz scene, and the compilation "The Essential Thiago de Mello," a best-selling CD in Japan. 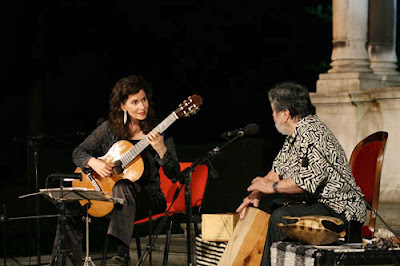 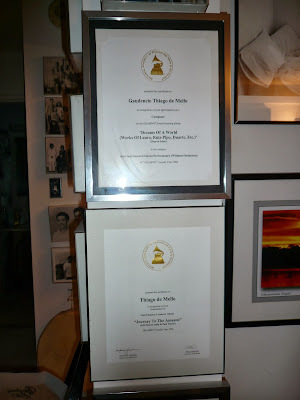 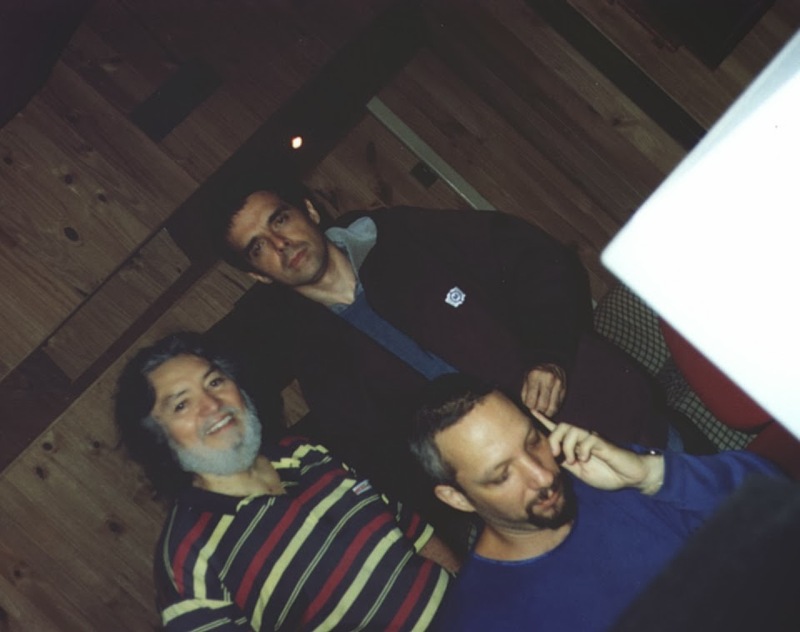 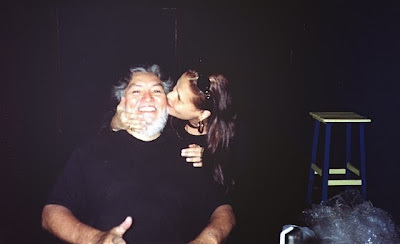 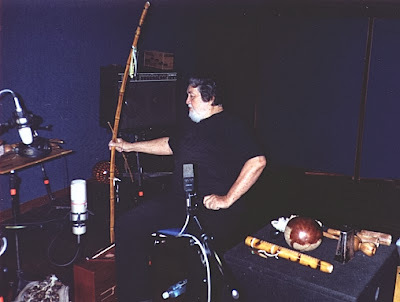 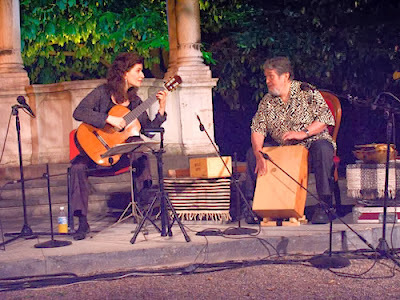 Actually, we worked together in more than 30 projects, and I invited him to play in many albums I produced for Luiz Bonfa (our first recording session together, in New York, in May 1991), Pingarilho, Anna Ly and other artists. 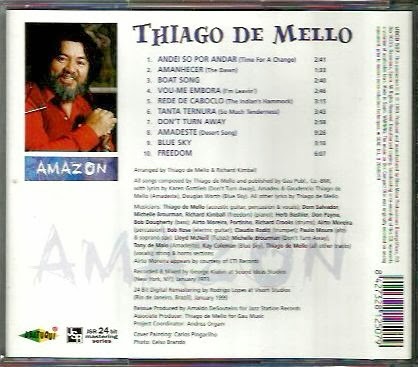 Thiago was a first-call member of the JSR All-Stars when we did the "Friends From Brazil 2001" for the European market (a project later retitled "Brazil All-Stars/Rio Strut" due to marketing purposes when released here in the U.S. by Milestone). 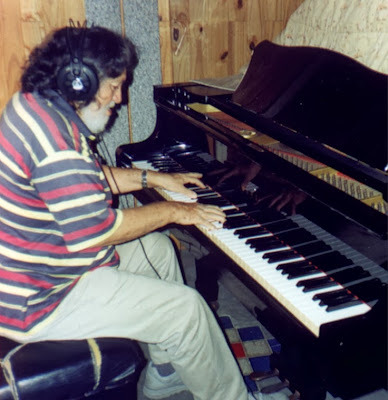 I've also included Thiago's tracks on compilations I produced for Verve, Milestone and IRMA, Thiago's song "A Hug For Claudio" on Claudio Roditi's "Day Waves" CD, wrote liner notes for Thiago's projects with Carlos Barbosa-Lima and Antonio Mello, etc etc. 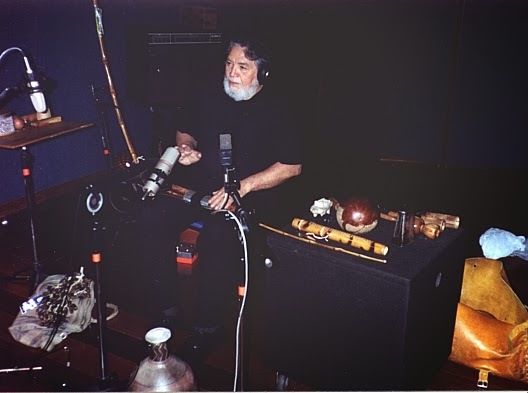 Each and every time I visited NY, we had dinner listening to Dom Salvador at the River Cafe (that now has been closed for over one year after the Hurricane Sandy). 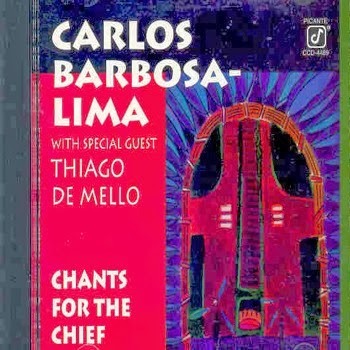 After many years performing with his Amazon band on Sunday nights at Sweet Basil, when Gil Evans used to perform there on Mondays, Thiago de Mello decided to not play in jazz clubs anymore after he had emphysema. 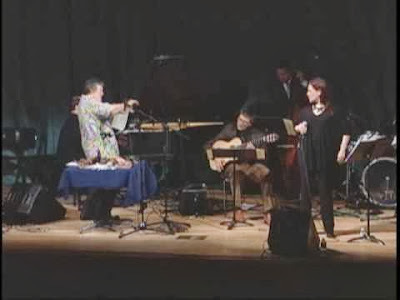 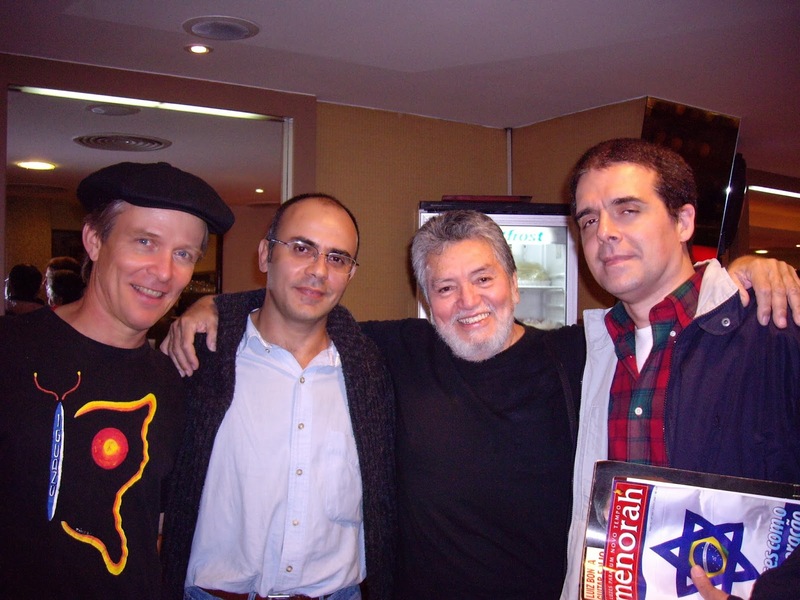 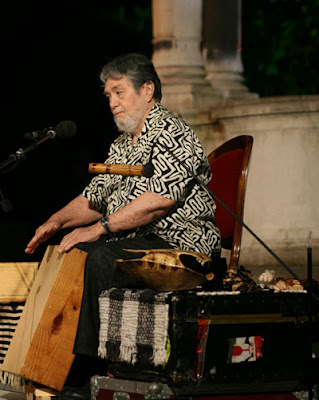 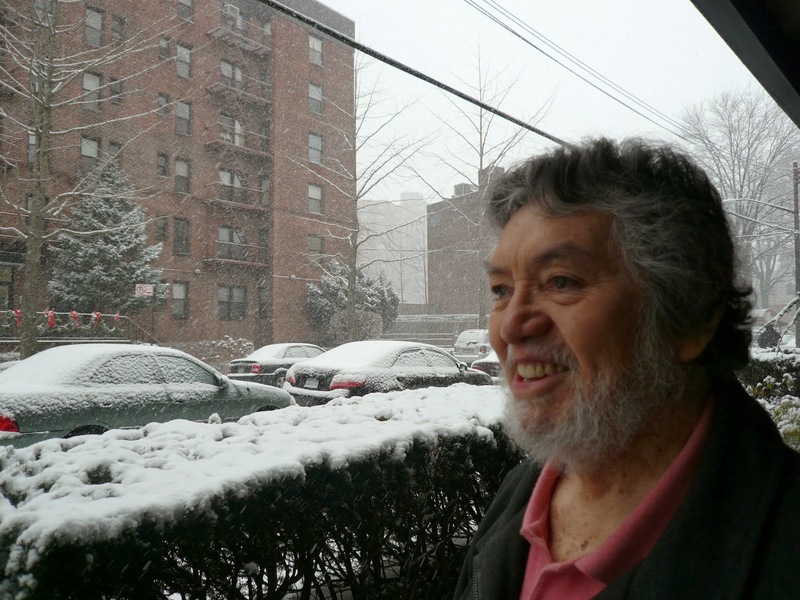 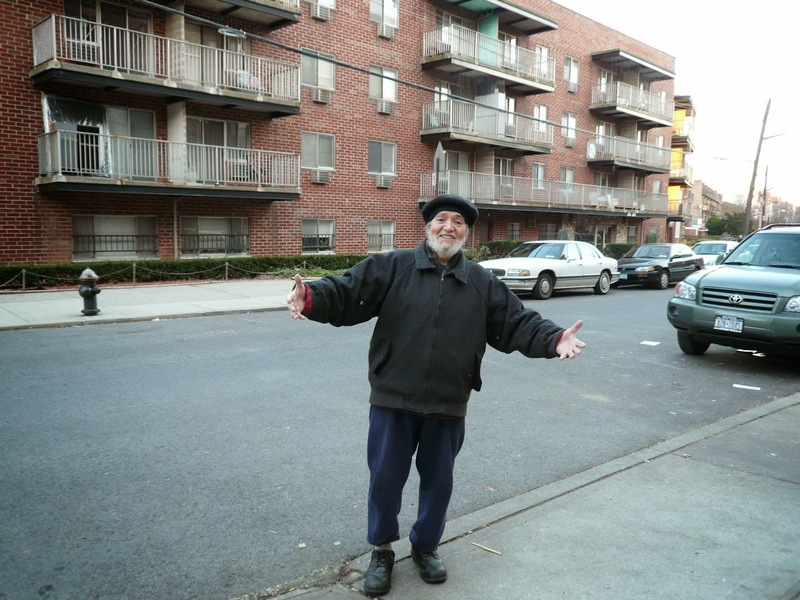 At that time, Claudio Roditi and Paquito D'Rivera were in his band! 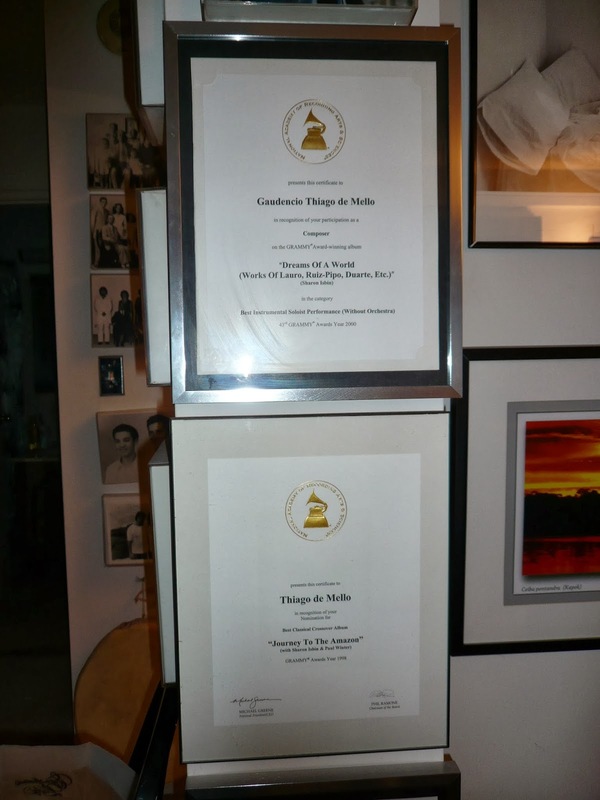 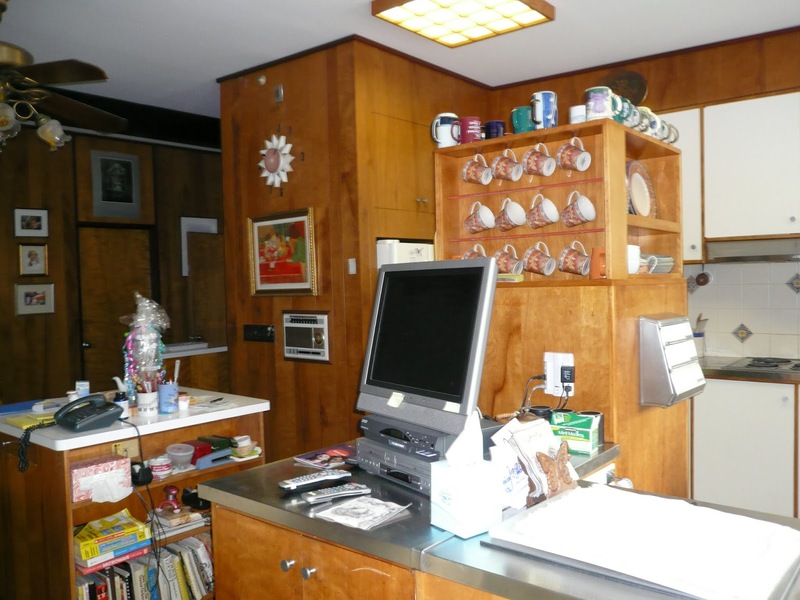 But he continued to play in concert halls (mostly with Paul Winter and Sharon Isbin), and received 3 Grammy nominations for albums he did with them. 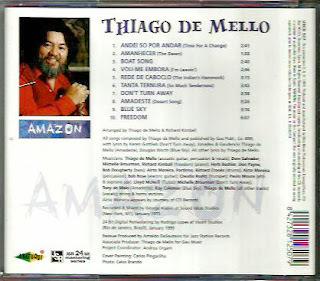 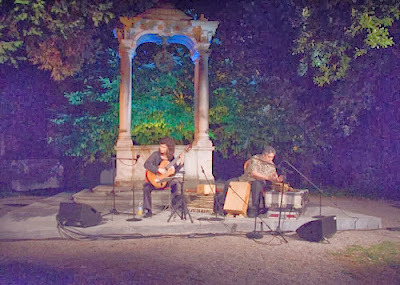 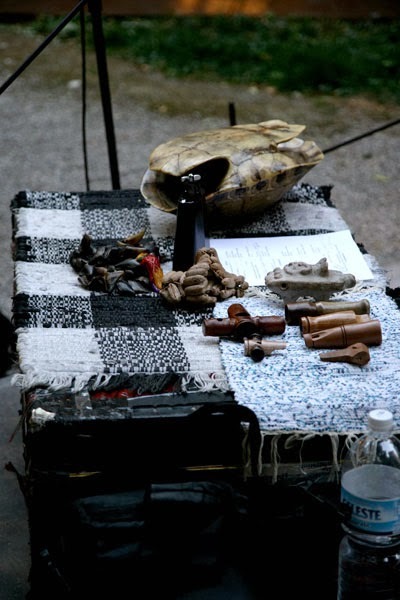 Besides his innovative work as an arranger and band-leader, Thiago created the "organic percussion" style, played acoustic guitar, piano, and sang beautifully. His music will live forever. 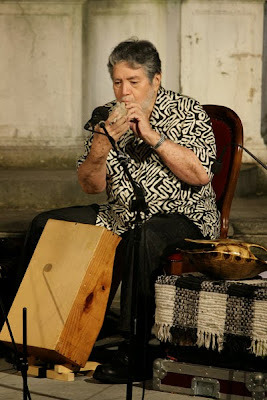 Rest in Peace, my friend Gaudencio Thiago de Mello.